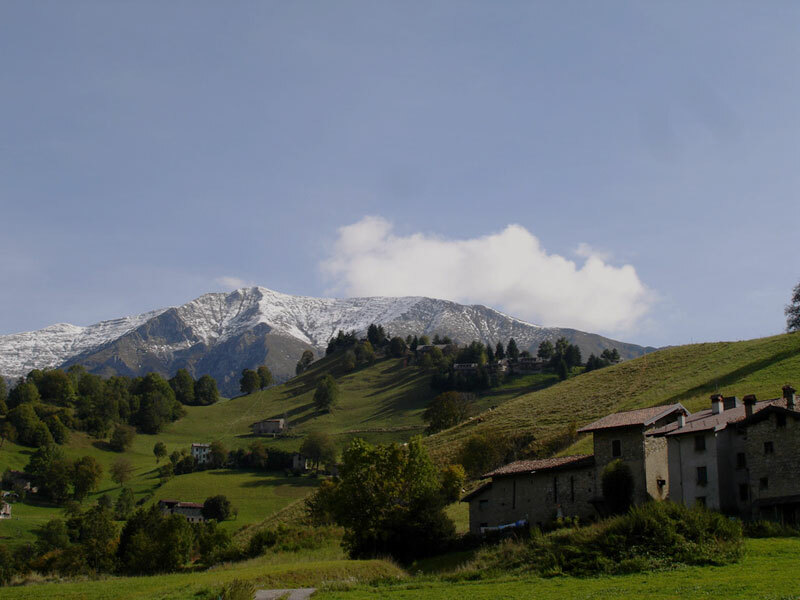 Inside of the Brembana Valley district we find Oltre il Colle (“Beyond the Hill”), a village which is so called for it is located further on from the Zambla Hill. That “beyond” in the name reveals that the village had been built opposite to the usual way in to the valley from the Seriana side. This location endorsed it in the exploitation of mining material coming beyond the hill. Already in the ‘500, the area was renowned for its inhabitants high quality craftsmanship in arms and nails moulding, making use of the iron coming from Val di Scalve (“Scalve Valley”) and Valbondione. Along with craftsmanship coexisted pastoralism and mountain farming which lately adjoined winter and summer tourism. Oltre il Colle is also famous for the well-known road running through it, the Via Priula (“Priula Road”). The road was built by Venice at the end of the Sixteenth Century with the aim of creating a direct communication between Bergamo and Graubünden through the Brembana Valley, avoiding the Spanish possesion of the Como Lake. The realization was made possible connecting parts of previous existing road sections to brand new ones, following the course of the Brembo. The direction was Ventolosa > Campana alla Botta > Sedrina > Zogno’s Plain. Arriving nearby the village of Cornello dei Tasso a bridge over a small valley was realized digging the rock until the Scalvino’s Plain. The road then went ahead to Frola di Olmo > Mezzoldo > Ponte dell’Acqua and finally the San Marco pass, where the roadhouse was built. The Via Priula was actually really well-traveled during the whole Venetian rule, then it has been used only as a link road among the villages of Valle Brembana. Viable remains of the ancient Via Priula can still be found in Valle Brembana, in the stretch between Mezzoldo and San Marco’s Pass and along the Valtellina side.